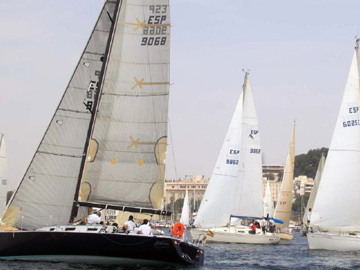 During the 2nd and 3rd of June the fourth edition of this regatta took place which is part of the Cruise Cup Spain Rl. After a stay of nearly 5 months at Yacht Port Cartagena, Elida V just left the docks of the international marina bound for a new tour on the Mediterranean, Atlantic and Baltic Sea. During the 5 past months – the boat spends winters in Cartagena every year- maintenance work and general overhaul of the vessel has been done.